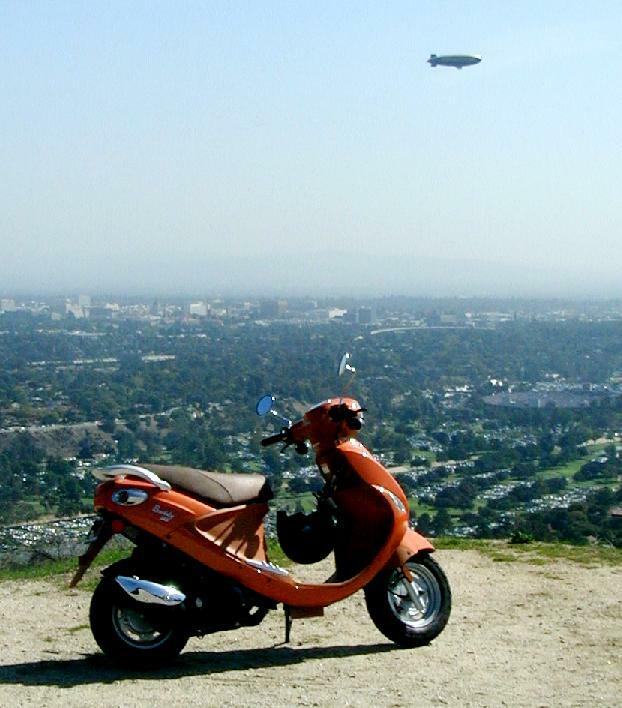 Aside from electric motor scooters, two types of engine, the two stroke, and the four stroke, are commonly used in motor scooters. The two-stroke engine used to be the standard. Somewhat simpler to produce, and with slightly greater accelleration, it nonetheless has significant disadvantages. Although the two-stroke engine is still used in some smaller scooters (see minimalist scooters), the four-stroke engine has, since 2004 taken over in the scooter arena for many good reasons. 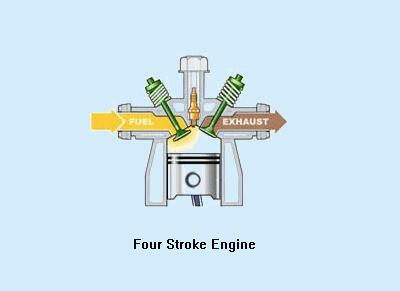 In reliability, fuel economy, emissions, and longevity, the four-stoke engine is superior. Two-stroke engines also require more maintenance, particularly after periods of disuse. You can easily tell which engine is which by sound. The two-stroke engine buzzes more rapidly and sounds tinnier. Most chainsaws use two stroke engines. You probably already know the sound. All of the four-stroke scooter engines are built on the same design Honda perfected with their 35cc back in the very early 60's. It has been lauded as the nearly perfect engine design for economy and longevity. Some small changes have been made from one manufacturer to another but the basic proportions of bore to stroke, the head design (combustion chamber), the valve placement, are all the same. Contracted for Chinese manufacture by Honda in the 1980's and the subject of much litigation, the GY6 engine, in 50cc, 125cc and 150cc flavors, is the descendant of this earlier engine, has become the work horse of the industry, and is currently manufactured by over 20 companies in China alone. One interesting aspect of this engine design is it is capable of nearly 12,000 RPMs or even more. Where low-power 50cc scooters with a top speed of 30 mph require no license, or are otherwise exempted from regulations applicable to larger vehicles, restrictions are placed upon those scooters to prevent them from going more than the designated speed. This does waste fuel and reduces accelleration. For a step-by-step procedure for de-restricting the engine, see De-restricting a 50cc Scooter.